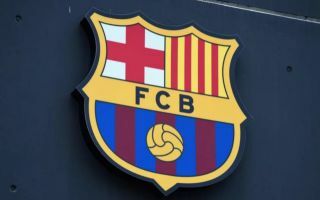 Barcelona are reportedly set to fight off Paris Saint-Germain who are keen on either Sergio Busquets or Ivan Rakitic before the end of the month. The pair are seemingly not for sale given their importance to coach Ernesto Valverde, who will want to keep the pair to play a key role in their pursuit of trophies this season. Having already overseen a midfield reshuffle this summer with Andres Iniesta and Paulinho leaving while Arthur and Arturo Vidal have arrived, further changes could prove to be disruptive. In addition, with just over a week to go until the transfer window closes, it doesn’t give Barcelona a great deal of time to identify and sign replacements if players leave now. However, according to Sport, they could face a battle to fend off PSG who are said to be interested in signing either Busquets or Rakitic. Nevertheless, it’s added that Barcelona are set to counter that interest in Busquets by offering the club stalwart a new contract extension, which should avoid seeing him leave and avoid Barca losing another pillar of their side in recent years after Iniesta’s departure. In contrast, Sport do leave the door open to a possible Rakitic exit depending on the offer put forward by PSG, as it’s suggested that his high salary could be a factor in perhaps offloading him and cashing in. Still, that doesn’t seem to make too much sense considering the Croatian international featured heavily under Valverde last season, as he has done for the last four years, and so with the La Liga campaign underway and with quality options at his disposal, it could be argued that the Barcelona boss will want to avoid any changes at all at this late stage.